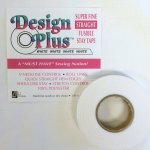 Use this straight cut fusible stay tape effortlessly wherever you would normally use a stay tape! Take control of gaping necklines, quickly stabilize roll lines, do quick straight edge finishes, and more. 100% polyester. 3/8" x 22 yard roll. Machine wash or dry clean. Included in the package are full instructions for all the different uses, but the basic instructions are as follows. Press tape to wrong side of fabric with fusible side down. Obtain a permanent bond by applying steam, heat, and pressure with the iron. Use a steam iron, or lay a damp press cloth over the tape and use a dry iron. 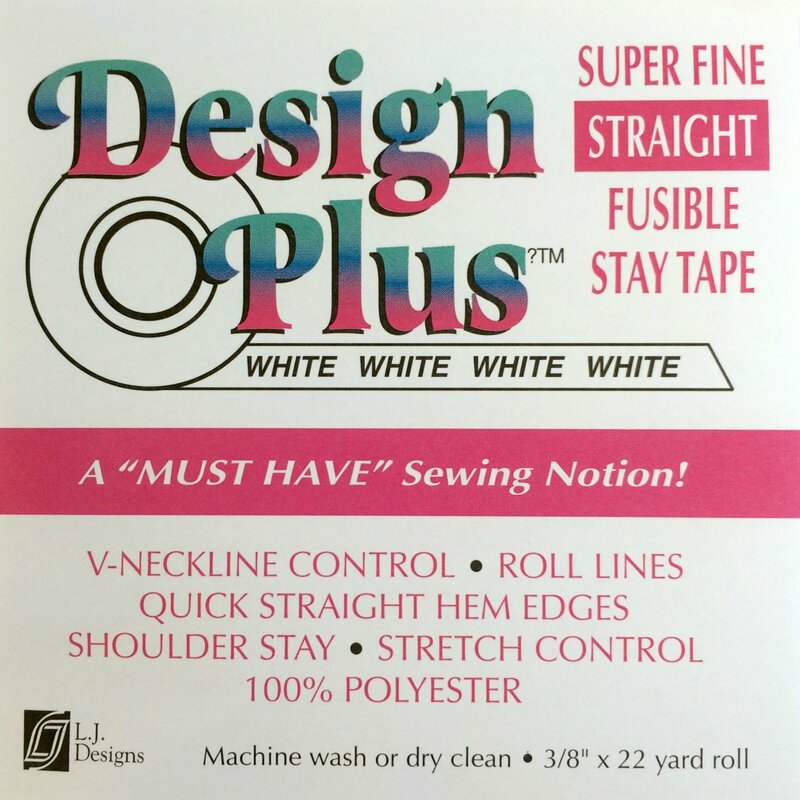 There are eight different varieties of single-sided fusible Stay Tapes by Design Plus! All are fusible, but there are three options: black or white, straight or bias, and regular or super fine.